What is the most promising commodity for 2018? Home - Forex Analysis - Commodity - What is the most promising commodity for 2018? In 2017, the U.S commodities had a rough ride, so did those from the rest of the world. According to several sources, 2018 is going to be a different story. According to Jeffrey Currie and Michael Hinds of Goldman Sachs Group Inc, economies around the world are picking up and demand for oil and metals is going up. They are in agreement with Adam Rozencwajg and Leigh Goehring of Goehring & Rozencwajg Associates, who said in December 2017 that commodity prices were at the lowest level then than they had ever been in 100 years and the prices could only go up. According to Goldman Sachs, the Brent crude oil price will rise above $80 within the first 6 months of 2018. This is because demand outpaces supply which has been put under a tight grip by the producers. When one looks at the other producers of oil (OPEC and Russia), one must agree the production cutbacks and the growing global demand are likely to be more in 2018. According to statistics released in 2017, oil demand in 2017 increased by 1.8 million barrels per day. It is expected that in 2018, a further 1.3 million daily barrels will be demanded. In 2017, the demand for base metals grew by about 20%. This was mainly due to the increased global economic growth and prices for these metals in Europe, the U.S and China. Towards the end of 2017, the Chinese government issued a ‘government-mandated environmental curtailment of aluminum smelter’. To many market experts, this can only mean that the government will tighten its control in the market and the prices will certainly go higher; this is according to Ben Ross, a senior VP and commodities strategist at Cohen & Steers in New York. He adds that China which is the largest consumer of zinc continues to demand more yet there is no direct and responsive production of the metal. Copper prices, on the other hand, will not be strong in 2018. Both Australian and the U.S weather agencies have confirmed La Nina weather conditions. The heightened dryness being experienced in Brazil and Argentina means lower yields of corn will be experienced in 2018. The wetness in Australia, on the other hand, will compromise the quality of wheat. Cohen & Steers gives a favorable outlook toward sugar because the stocks are low and the high price for the same is supported by the ethanol economics in Brazil. The Arabica coffee will attract good price because there are tepid exports from the countries that produce it. This could be due to poor weather and tightened regulations. Upon a closer look at the historical gold chart, one can see that gold’s price continues with its downtrend. This commodity downtrend as was experienced in the 90s can take a couple of years to turn around. 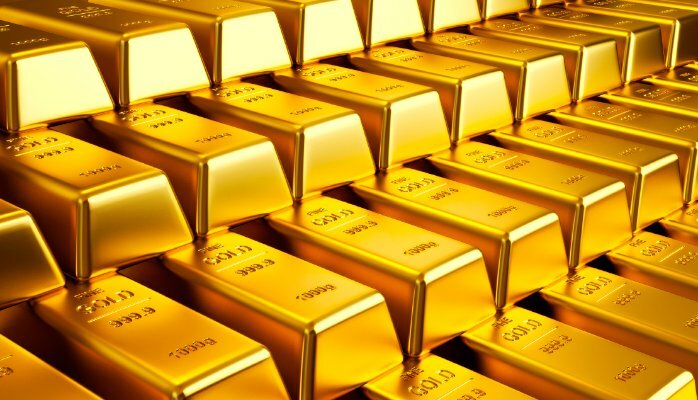 At the same time tensions with North Korea, Iran and the uncertainty in the Middle East are likely to make the price of gold go higher. According to Nolan Watson, CEO at Sandstorm Gold in Canada, everything is currently very expensive be it stocks, real estate or Bitcoin. One of the very few things which started the year at a very low price is gold.